After the appropriate preparatory surgery, the patient is ready for lengthening. The limb lengthening process works by gradually growing new bone. Bone regenerates when it is pulled apart at a very slow rate, approximately one millimeter per day. Any faster rate and the bone may fail to form in the gap. Any slower rate and bone will reform in the gap. Lengthening is divided into two phases: distraction and consolidation. For more information on limb lengthening, see the Limb Lengthening Center. The two lengthening devices Dr. Paley uses to treat CFD are the external fixator and the implantable lengthening nail. External fixators are devices that attach to the bone through wires and pins. The external fixator looks and acts like a scaffolding, supporting the separated bone. The fixator mechanically lengthens the limb by pulling the segments of bone apart. There are two types of external fixators: monolateral and circular. The Ilizarov and Taylor Spatial frames are examples of two circular devices. Circular devices allow for three-dimensional deformity correction while lengthening but are bulkier and more awkward to use. They are more comfortable for lengthening of the tibia but more bothersome for the femur. In the femur, Dr. Paley prefers to use the Modular Rail System (MRS) device, which he developed with the Smith and Nephew Orthopedics Company (Memphis, TN) in 2009. This is the first device specifically designed for lengthening for patients with CFD. It has the advantage that it can extend across the knee and hip joints to protect those joints while still allowing joint motion. The MRS has been used successfully several hundred times at the Paley Institute. Intramedullary lengthening nails can also be used for lengthening CFD patients. The first FDA-approved device was the ISKD (2001–2011). This device had many problems with rate control but was used for many years by Dr. Paley when it was the only device available. To gain better rate control, together with Ellipse Technologies, Dr. Paley and a team of other surgeons developed the PRECICE intramedullary lengthening nail. This device is FDA-approved and was first implanted in the United States by Dr. Paley on December 1, 2011. Since then, many CFD patients have had successful lengthenings with this device. 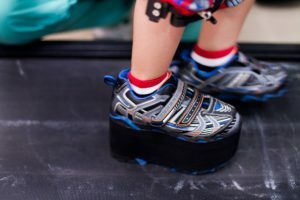 Most recently, Dr. Paley helped Ellipse Technologies modify this device to be stronger, allowing up to 8 centimeters of lengthening, as well as reducing the diameter and length so that it could be used in smaller children. The new device is called the PRECICE 2. The PRECICE is an internal telescopic rod that is implanted inside the marrow cavity of the bone. The device lengthens similar to the way an antenna extends. An external remote control (ERC) is used to rotate a magnet inside the nail. This in turn rotates gears which turn a drive screw, which extends the telescopic nail. Reversing the direction of rotation causes shortening instead of lengthening. This is the first bidirectional device. The PRECICE has many advantages over the external fixator, including no risk of pin infection, no muscle tethering by the pins, less pain, and better comfort. Unfortunately, this method is limited to adults and older children due to implant size limitations. It is usually used for the second or third lengthening but rarely for the first. If preparatory surgery was already performed, there is no need to do soft tissue releases. If no preparatory surgery was performed, lengthening of the fascia lata, iliotibial band, biceps, and rectus tendons should be performed at the time of the lengthening. In surgery, dye is injected into the knee so that Dr. Paley can identify the center of knee rotation. A pin is inserted into the center of rotation. All of the pins should be placed parallel to the knee joint axis. Dr. Paley confirms all pin placements by first inserting a wire into the bone and confirming the proper position using fluoroscopy. He then drills a hole in the bone and inserts the pin. This is a very accurate way to do this, especially in small bones. Dr. Paley then performs the osteotomy and cuts the femur into two segments. The external fixator is extended across the knee joint and pins are placed in the tibia. This is done to support the knee joint and keep it from dislocating during the lengthening. Once the fixator is in place, Dr. Paley will test the hinge with gentle range-of-motion of the knee to make sure everything moves smoothly. A knee extension bar is built that extends across the knee. The bar is designed to be easily removed and can be adjusted. The purpose of the knee bar is to keep the knee extended to avoid developing a knee contracture. Dr. Paley requires the knee bar to be worn full-time at night and fifty percent of the time during the day. At the conclusion of the procedure, Botox is injected into the quadriceps to reduce pain and muscle spasms. Patients with the PRECICE nail will require a brace in lieu of the knee bar. The patient usually stays in the hospital for two to three days and inpatient rehabilitation begins the day after surgery. This includes teaching them to get out of bed, move their hip and knee, use a walker or crutches, transfers to the chair and toilet, and use stairs. Lengthening will begin a few days to a week after surgery. The time after surgery and before lengthening begins is known as the latency period. It is necessary to wait a few days before lengthening so that the callus (new bone) can form at the break site. Lengthening is done manually with the external fixator and the rate is usually one millimeter (mm) per day, but may be slower or faster depending on the tolerance of the bone and soft tissues. To make the lengthening gentler, the 1 mm per day is broken into quarter mm increments. 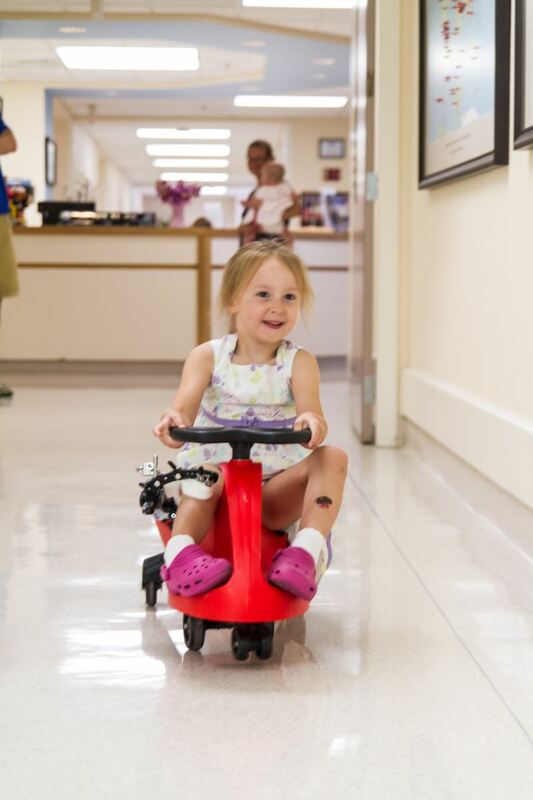 Parents and patients are taught to turn the distraction rod (screw-like device) on the external fixator one quarter turn (1/4 mm) four times per day. The lengthening phase is also known as the distraction phase. Patients typically begin outpatient physical therapy following discharge from the hospital. Therapy is a critical component of the lengthening process and is required every single day. Most patients do therapy five days a week (Monday through Friday; weekend therapy available in some cases) and do home exercises with their parents on weekends. Families are instructed on how to perform home exercises. These should be done at least twice a day and three times on weekends. Compliance with home therapy is crucial to a successful lengthening outcome. The more therapy the patient receives, the better the functional result and faster rehabilitation after removal. Most parents can become excellent therapists. Physical therapy focuses on obtaining and maintaining knee and hip motion. Therapy during lengthening is very different from other orthopedic surgeries. In most orthopedic procedures, the patient is at their worst following surgery and gradually recovers. In lengthening, patients are at their best one week after surgery. As their bones are distracted, the muscles become tighter and tighter and range-of-motion (ROM) of joints becomes limited. In this sense, it may appear that the patient gets worse as they lengthen. Once the patient has concluded lengthening and begun consolidation, the normal pattern of recovery resumes. It may be helpful to consider the lengthening process as a continuous surgery, one that does not conclude until the desired length is achieved. For more information on physical therapy at the Paley Institute, see Center for Rehabilitation & Physical Therapy. In addition to daily physical therapy, lengthening requires close clinical follow up. Appointments with the physician should be scheduled every two weeks after surgery for clinical and radiographic assessment. The follow up visits are staffed by Dr. Paley, Dr. Robbins, and their physician assistants on an alternate schedule. At these appointments, range-of-motion, pin sites, nerve function, joint integrity, and pain will be assessed. Due to the complexity of the lengthening process, complications can and do occur. Since lengthening occurs gradually, most complications occur in slow motion. It is vital to attend physical therapy and follow up visits so that these complications are spotted early and corrected expeditiously. Complications do occur but most are completely reversible with either therapy or surgery. The most common complication is a pin site infection, which is easily treated by physical cleaning of the pin site and antibiotics. Occasionally, a pin infection or loosening requires surgery to remove or replace the pin. Other less common complications that can occur are delayed union or nonunion, premature consolidation, muscle contractures, and nerve entrapment. For more information on the complications of lengthening and how we address them, see here. Once the patient has achieved their desired length, they enter the consolidation phase. No further adjustments are made to the fixator. The fixator will remain until the end of the consolidation phase to allow the newly-formed bone to get harder as more calcium enters the bone. Total fixator time is approximately one month per centimeter lengthening for children (and up to two months per centimeter lengthening for adults), of which half the time is the distraction phase and half the time is the consolidation phase. Most patients stay in West Palm Beach during the distraction phase and prepare to return home during the consolidation phase (we usually recommend staying at least two weeks after the end of the distraction phase). Physical therapy continues throughout the consolidation phase. If the range-of-motion of the knee is good, it can be reduced from five days a week to three days a week. Bone healing is followed using x-rays obtained once a month. If the patient has returned home, then x-rays are obtained near home and emailed or mailed to Dr. Paley. When Dr. Paley has assessed that the bone is sufficiently healed, the patient returns for fixator removal. The removal is carried out with general anesthesia. Most cases of CFD require insertion of a small-diameter metal rod into the femur to prevent the femur from bending or breaking. Prior to 1999, when this was not done, the refracture rate was 34% even if a cast was used; using a rod reduces the refracture rate to less than 5%; there is, however, a small risk (4%) of deep infection due to insertion of the rod at the same time as the pins are removed. For this reason, patients are placed on antibiotics for two weeks to help prevent infection. If infection occurs, Dr. Paley is able to treat it but it does require additional surgery. To date, none of our patients remain infected. Limb lengthening is a very complicated process. Meticulous surgical technique, vigilant follow up, and aggressive rehabilitation are required for a successful outcome. The results of lengthening are very dependent on the experience of the surgeon and his surrounding clinical staff. A more experienced surgeon knows how best to perform the surgery and knows how to prevent and treat complications so that there is no residual problem at the end of treatment. Dr. Paley has been successfully treating CFD for over twenty-five years. He has performed hundreds of successful SUPERhip, SUPERknee, and lengthening surgeries. 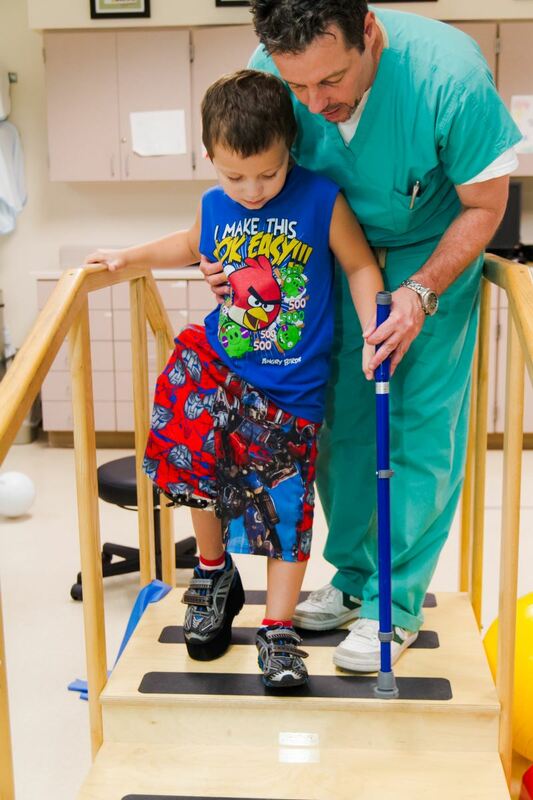 The Paley Advanced Limb Lengthening Institute in West Palm Beach, Florida offers patients the most technologically advanced limb lengthening and deformity correction surgeries available, as well as comprehensive care from an experienced team of professionals.